The 15th. Scottish Division had been on the Somme for about six months. Their tour of duty began in the full heat of summer and with a bad spell of most cruel fighting, particularly around High Wood. Then on 15th. Sept., with the help of tanks, they took Martinpuich, but suffered pretty heavily. The remainder of the winter was fairly quiet as far as fighting was concerned. The weather was our worst enemy. Mud and snow and rain were always present. In spite of that, the men were very healthy. We seldom got very far from the line, and when in the line or near it amusements were few. Now and then a stray concert party blew up. Leave went slow for officers and particularly for men. Life was very hard but not too dangerous. We made plenty of fun amongst ourselves, and many a wild night was spent in the old tents or huts well within range of the Boche 'cottar gun', a 4.2" high velocity. Some of us managed Paris leave, a few being benefited by the change, and a few being not much better off. Altogether in spite of mud and a certain amount of sickness things were not too bad. They could be a thousand times worse - as we were soon to see. 20th. Feb. Hood went sick yesterday, so I became A/Adjt. Kept the job until 4th. March when Tobermory Maclean returned. Had very busy and interesting time. Maisnil-St-Pol became famous in our time for the "Town-Major Incident", when the C.O. (Duncan) woke up one morning to find the bed next to his covered with big boot marks and thick with mud. Never saw any man so wild! The C.O. however did one good thing in this village. A man died, and instead of sending the body with a firing party a distance of 20 miles to the nearest British Cemetery - in rain and snow - he buried the fellow in the village cemetery - thus saving much trouble and a rotten tramp for some dozen poor beggars who would have had to 'hoof it'. The correspondence with the Staff over this apparently irregular action occupied ten volumes. No fewer than 6,000 questions were asked and answered - by the poor A/Adjt.!!! So much for the Staff running the War! 24th. Feb. Battalion moved to Noyellette, of which place Sorley became Town Major. At this place the C.O. designated H.Q. Mess as little better than a third rate bar, raising his nose as he sniffed. It was his fault. He drove even the poor Padre to drink! I found the life very interesting. Work began about 8 a.m. and continued until about midnight for me. Battalion was engaged on daily work parties. 3rd. of March. Moved up to Arras by road. Just near the "Y" huts at the cross roads our battalion halted for ten minutes, as usual, on the journey up. One of the men came to me and said that the 10th. Argylls were just a quarter of a mile away. I set off at a gallop for the place, found a drummer boy of the 10th. and told him to go at once into his officers' mess and get out everybody from the Colonel downwards, for the 11th. Argylls would pass in a few minutes. He did his work thoroughly! When the C.O. gave the order for our fellows to fall in and march off, we began to find hundreds of fellows, all Argylls, coming in the opposite direction. Soon the battalion had to stop - and brother met brother! Our fours suddenly became eights, and shouting was heard everywhere - in the richest Glasgow accents. All the 10th. seemed to shake hands with all the 11th! They brought out their pipe band and played us along the road. I saw dozens of people I knew. The whole road was blocked by the composite 10th/11th. Argylls. Our C.O. 's face was a study. He couldn't speak. Fortunately he never discovered who brought the 10th. Argylls along. I believe he had his suspicions however. He was in the very devil of a mood that night, so we just left him to look after his own affairs, while we had a good dinner in a hotel in Arras. This hotel, Hotel de L'Universe, was situated near the station and only about 25 minutes walk from the front line. It was staffed by French people and remained open throughout the whole Arras Offensive until the German Offensive of 1918 when it closed down temporarily. 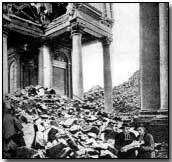 There were quite a number of French people in Arras during the whole course of the war, a factor which could not but have helped the enemy espionage system. We got some quite good dinners out of this hotel. On this particular night we had a specially good meal, paying for it, but the C.O. would not participate. He sat aside and watched us! 3rd. March 1917. The battalion moved into the line at dawn - a daylight relief, a most welcome change from the Somme where, owing to the lack of trenches, every movement in the open had to be carried out after dark. Our H.Q. was a little house only 750 yards from the front line - just out of range of the Boche trench mortars. Of course, the place was not infrequently strafed by guns. In this house we ate, slept and worked. The H.Q. men lived in the cellar below, where they were comparatively safe. We had two pianos - and the signallers made good use of them. People at the end of the phone in the front line could hear the music at Battalion H.Q.! We had a splendid trench system in front of Arras, and could move about easily during the day. 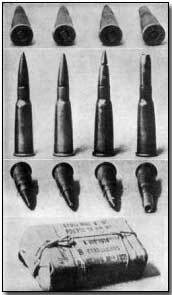 The Hun was fairly active with trench mortars and machine guns, but we had little to complain about. At one point our line was only 25 yards from the Hun trenches. The men had plenty of dugouts or cellars and were fairly well off. The front line ran through a street, and among the ruins of houses and factories. 5th. Maclean came back and I reverted to looking after signals. Life became cheerier, preparations for our offensive proceeded apace, dumps were formed forward, extra trenches dug, stores formed, new lines laid. All the time units were shortening their frontages and Arras becoming more crowded. Every odd corner and cellar was occupied. During daytime it looked like a city of the dead - all our men were hidden on account of Boche aeroplanes - but at night they came out of their holes and burrows and the streets became like Gallowgate on a Saturday night. 7th. March 1917. Bn. relieved and on 10th. we moved back to Noyellette again. Succeeded in getting back to my company tho' asked to become assistant adjutant. Liked the company life better. 11th. to 18th. Training all day long. Managed to get away occasionally for a ride to Habarcq, Arras or Hyesnes-le-Comte. German withdrawal from Somme Front. Very bucked with the news. Loupart Wood, Butte de Warlencourt etc. all taken. We had sat in the mud looking at these places in winter. 19th. Billeted at Maizieres. Good billets. Only person displeased was the Padre - and he was suitably 'told off'. 20th. Colonel MacNeil due back. Thank Goodness! Orders out for the show. Things look promising and men are in good trim. 'A' and 'B' coys will probably have the hardest time. 'C' and 'D' go over first, and then 'A' and 'B' go through to take the Railway Embankment - a mile beyond. Only four officers per company to go over, so expect to be one. Felt very keen. 21st. Practising over dummy trenches for the show. The Colonel, MacNeil, back - what a relief! A difference in the Battalion already. 21 - 24th. Training daily on ground about 4 or 5 miles away. Weather very cold, snow and sleet. Toppingly fit. Told I was to be left behind at Duisans on the first day. Went to see the adjutant about it, but he chased me. Two brand new captains have rolled up. Discovered that I have £40 in the bank. Will just about do for leave - when it comes. 24th. March. Out from 7.45 a.m. till 4 p.m. without a meal. Jove! We tucked in when the parade was over. This training is a trifle overdone. 28th. Rode over to Avesnes. Looked up Tom Martin of Hillhead School. Tea in Officers Club, followed by more tea somewhere else. Saw Sir Douglas Haig and Staff. Bought fish. Devil of a job to get it back as the bag burst in the middle of a gallop. My clothes smelt of fish for days after. Dined with 'A' Coy. Tremendous night. 29th. To Averdoignt with Alan Whyte. Called on MacCallum. Tea with him in a cafe where he knew the people. 31st. Cycled to Arras. Shelled on the road by a naval gun when I was about 4 - 5 miles behind the line. One shell fell just a few yards behind me at the side of the road. Working until midnight, but got the battalion billeted O.K. 1st. April. Splendid row with the Town Major. Showed him the error of his ways - fortunately he was only a Lieutenant. 2nd. Work party - the first of a rotten series up round the front line. Got shelled a bit as we were working along side one of our batteries. No casualties, fortunately. 3rd. March. Took a walk through the sewers where the battalion is to stay during the final bombardment. Cold as hades, but lit with electric light which I don't think they need in Hades. Had to leave late at night for Duisans. Came out by the Scarpe Canal. Soaked through with rain. Argument with 8/10 Gordons who wanted to take the hut we were in. (It was really the Gordons' hut). Am down as Reserve Signalling Officer. Felt very sorry to leave the men, but feel sure it won't be for long, for I'll be up soon. 7th. Heavy bombardment. Thank goodness I'm not a Hun. 9th. THE Day! Good news came first - then bad news. Didn't hear our bombardment at 5 a.m. owing to the wind blowing in the wrong direction, and to the fact that I was asleep. Went into Duisans, and learned that we had the front system everywhere, but that our brigade (45th.) were held up by the Railway Embankment, which is some 60 feet high. That meant that 'A' and 'B' companies were held up. Heard they were to try again at 12.15 p.m. Saw about 1300 prisoners - poor specimens, particularly the officers. Couldn't rest all day, but looking for news. Thousands of cavalry passing through Duisans all day. Heard that the "Blue Line" was taken at 3 p.m. and then the "Brown Line" in parts. At 5 p.m. all objectives of Division gained, and 37th. Division going through towards Monchy - the pivot of Vimy Ridge. Felt bucked but feared the casualties. All divisions, the 9th, 15th, 51st, 3rd, and 12th. - all have done beautifully. Far better than the Somme show. Poor Alan Whyte killed. Shankland and Eric Duncan wounded. Jock Stewart seriously wounded but still able to swear, which he did all the way down to the Casualty Clearing Station. Hunnybun got shell-shock. Went into my valise at 7 p.m. with indigestion. Wakened about 9 p.m. by Southey who came into the tent to say that A.G.Cameron, Baillie, Muirhead and myself had to go up the line. Was dressed in no time, as I had everything ready. Rotten night. Snowing heavily. Left Milligan behind with my valise and instructions to come up next day. Got onto main Arras Road. Devil a bus in sight. Tremendous number of limbers and transport at roadside - blocked - waiting to get forward. Very dark. Ultimately managed a car and got to Arras Railway Station comfortably. No shells falling in Arras, which looked darker and more dismal than ever. Lots of cavalry moving through. Left car, and with Muirhead and Baillie, who was up for the first time, went down the old Douai Road. Hun very quiet. Passed along via our old Bn. and Coy. H.Q., the latter now a mass of ruins where some 20 houses were blown off the map by the explosion of a trench mortar dump. Big crater formed - a tomb for some 30 men. Took Muirhead and Baillie up to old front line which I knew well, and sat down for a breather in O.G.1. (Old German Line 1). Wire beautifully knocked about. Moon coming up. Struck across country, followed along by the Railway and by Fred's Wood to the embankment which was easy to find as it was just about a mile away. German trenches in terrible mess - quite unrecognisable. Remarkably clean battlefield - I only saw one dead Hun. The railway embankment was well marked by our shells. Tuesday 12.30 a.m. Found the Bn. H.Q. all asleep except for the signaller on duty. Heard of Forrest's death, one of the best of my signallers. Stirton had been distinguishing himself, and had accounted for several snipers in the Wood of Blangy who were responsible for Forrest's death. What had happened was as follows:- 'C' and 'D' Coys left under cover of the barrage in grand style. They took Fred's Wood quickly, but they did not do any mopping up, i.e. they left a number of unwounded Huns behind them in their eagerness to get forward. 'A' and 'B' Coys. therefore got a tremendous amount of this work to do. They bombed dugouts, took prisoners, or didn't take them. A number of snipers were passed over in Blangy Wood, and it was some three hours before they were accounted for. They caused poor Whyte's death in addition to Forrest's and several others. They were finally disposed of by bombs, etc. 'A' and 'B' Coys. then passed through 'C' and 'D' towards the Railway Triangle - the key to our part of the front. They were soon under heavy M.G. fire from Huns on the top of the embankment and from the concrete dugouts below. Our fellows had to keep low and get into the old Hun trenches. Here Stewart, Eric Duncan and several other officers were wounded. Capt. Mitchell patrolled on his own down to the embankment and actually climbed it, to find himself confronted at the top with several Boches. He of course got some information (!) and got back, lor' knows how. By this time we had a wire laid out to Fred's Wood (10 a.m.) and the artillery (whose fire was well over the embankment by this time) were persuaded to give it another dose. Our fellows then attacked again and took the embankment pushing out posts about half a mile in front. 'B' Coy. took a field gun on the top of the Embankment. Lord knows how the Hun got it up. The casualties in the company were 37, including 3 from my platoon. The 9th. Scottish Division on our left, just north of the Scarpe, were held up by the continuation of the same embankment. Our chaps were able to fraternise with the 10th. Argylls on the north of the river. We had among the officers, Morrison and Whyte killed, Shedden-Debbie mortally wounded and Stewart, Ferguson, Hunnybun, Weir and Duncan wounded. Tuesday 10th. April. Rejoined No. 7 platoon in the morning, just at daybreak. Mitchell and Miller only officers left in the company. Had a look around. Glorious view from top of the embankment. Bridge broken over Scarpe. The whole place was pounded and churned up with shell holes. The daylight showed the terrific strength of the embankment and how admirably it was suited for defence. The dugouts were large, strongly made but Hunnishly filthy. In spite of orders quite a lot of spoil had been taken. Watches were as plentiful as Samuel's in Argyle Street, Glasgow. We got black bread, sausages and about 1000 bottles of topping soda water. No whisky however! Along with the soda water was the usual staff correspondence where the battalions were threatened with stoppage if the empty bottles were not returned. Just like the "Q" branch of our own staff. Thank goodness I did not have to take up rations on the German side of 'No Man's Land'. It must have been terrible under our harassing night fire. I believe some of the prisoners we took had not received any food for three days, so effectively had our gunners worked. Every cross road, every cutting, was blown to blazes. The 46th. Brigade passed through us in the afternoon, and with very few casualties had gone through Feuchy and had seized Orange Hill, and what was known as the Brown Line, before darkness fell. From what I have gathered, the Boche was on the run here as he had never run before. He had not a big concentration of troops and if we had had our reserves marching up and through us (i.e. the 15th. Divn.) at the moment we had taken Orange Hill, we could have had Monchy that night - and so saved thousands of lives. But we delayed too long or else the attacking divisions, the 9th, 15th. and 51st. got through quicker than expected. But when the 37th. Division passed through us, for various reasons, they only gained some few hundred yards. I fail entirely to explain this lack of progress and why they as a division were unable to accomplish on the 9th. and 10th. April (when it was easiest, owing to the Boche confusion, to get forward), what we as a Brigade had to accomplish, and did accomplish at terrific cost on the 11th, in a blinding snowstorm with the thermometer below zero, with no hot food, and in the face of the most terrible M.G. fire which I ever experienced in the whole course of the war. We set off, all loaded up with ammunition, to support the 37th. Division who were supposed to have taken Monchy. It was the very devil of a rush - we were at ten minutes notice - no time for dinners - men tired - overloaded (we had not even in 1917 learned what was necessary and what unnecessary to carry in battle!). Went through Feuchy - column of platoons in file at 25 yards interval. 3/4 mile in front of Feuchy we began to come all of a sudden under long-range M.G. fire. Then came a sight I shall never forget. As we moved forward we were becoming quite exposed to the enemy - and a platoon is a fairly large body, 16 platoons of course is much larger! In front was heard a whistle and the leading platoon deployed. When the second platoon came up to the same place it deployed on a signal exactly as though on parade - 4 paces interval on the right, and did it beautifully, continuing to move forward in short rushes. It was absolutely grand and only once in later days did I see anything to touch it. My own platoon repeated the movement as enthusiastically as the first. It was really almost funny lying there in the open with bullets swishing over one, some falling now to one side, now to another. We saw them spluttering up the ground beside us quite often. Things got a wee bit hotter as we moved forward. The Colonel was lor' knows where (MacNeil), but certainly far in front. Except for the Intelligence Officer I bet there was not another officer in the Brigade nearer the Boche than old Colonel MacNeil. He didn't like shells, I'm sure, but he could play with them all the same. Everybody had nothing but praise for the way he led us on. Darkness was now only about hour off, and we were up alongside a few of the 37th. Division, well on this side of Monchy. So we got in touch with their front line. The Colonel then resolved to dig in some 200 yards behind it, on the forward slopes of Orange Hill and under view of Monchy and Roeux. We had a bit of a job to get into position. The trouble was that there wasn't a damned bit of cover, except a row of broken telegraph poles, and that wouldn't do for a battalion. There was no place suitable for reserves, and the only thing to do was to string us out in a single line and dig in. We had a few people knocked out in getting over to the digging-in place. Where we first began to dig became Lancer Lane, a trench very familiar to us later on. The Bn. now became Brigade Reserve as the remainder of the Brigade moved to the right towards Monchy. Fortunately the Hun artillery did not worry us much, but all night we were under constant M.G. fire - a grand incentive to digging-in! It snowed most of the night, and our feet soon converted the bottom of the trench into one long slushy puddle. The men were fearfully tired but awfully good. They were soaked literally through and through, their greatcoats had been left behind in Arras. We had no dugouts, of course. I was very lucky because before leaving Duisans I had emptied most of a bottle of Johnnie Walker into my water-bottle. That helped me considerably during the next few days, though I didn't get very much of it. McAinsh shared with me, for he was developing pneumonia, and was soon taken down the line. At 4 a.m. Capt. Mitchell, who had been doing splendidly came along and said that the Brigade were to attack at 5 a.m. - going for Monchy, with, I think, the 29th. Division on our right. We got the men ready - there wasn't much to do. I never heard a murmur or a complaint, even though they had taken all their objectives and now had to take another Division's objectives. We were soon told that we had to be in reserve to the Brigade. Shortly after 4 a.m., forming-up began on our right, but we could scarcely see for the snow which, blowing in our faces from the East, more or less blinded us. At 5 a.m. the guns burst out (they had been going a little all night), and the other three battalions of the Brigade began to move forward - Scots Fusiliers in support, our lot co-operating with M.G. fire. Dawn came about this time and it was remarkable to see the black blobs of men getting forward, down into Happy Valley and up the slopes towards the Orchard, north of Monchy. Their objective was the Pelves-Monchy Ridge. Our artillery barrage quickly died down to a futile series of noises - our heavy guns were out of range, having been unable to move because of mud. The Boche at the beginning did not use his guns much but he made up for that by the way he handled his machine guns. They were most effective and caused many casualties in the Brigade. He seemed to have thousands of them. The walking wounded began to come back by 6 a.m. and they continued until nightfall. There is no use in describing their plight, or of emphasizing the hard luck of those unable to walk who had to lie for hours in the snow. Then the rumours began. We could not make out whether Monchy had been taken or not. It got a hellish bombardment, certainly from our guns and from the Boche. The 6th. Camerons did get through it but had to fall back as both flanks were in the air. Certainly Monchy was not taken by 2 p.m. The Boche defended it like the Devil himself. He had pill boxes and M.G. emplacements everywhere. Our slowness on the 10th. had given him time to rally. I have rarely had occasion to praise the 6th. Camerons in our Brigade (tho' we Argylls would never let an outsider say a word to us against them without getting on his top) but they can scarcely be too highly lauded, along with the Royal Scots, for their show on that day at Monchy. They had some 250 casualties in 3 days fighting, losing 6 officers killed and about 10 wounded. The stretcher-bearers had a hard time. They worked themselves off their feet. The men now got some bully beef up. Milligan arrived with some whisky and chocolate, the latter went chiefly to the platoon. This was about 10 a.m. We had an officer and one or two men hit by shell and M.G. fire. The scenery around us was very interesting and we studied it as we ate our bully beef. There was a terrific din all day about Monchy. The hill on which it stood was just a mass of dust, flying bricks and shells exploding, all enveloped in a huge column of smoke. I wish old Dante could have seen it. It was a better example of an inferno than he had conceived. In front we had Roeux, where the 51st. Scottish Division were to attack a month later. The Chemical works there stood out conspicuously. There was a Red Cross Flag hanging from one of its windows. At night the whole place went on fire. I wished we had been a bit nearer - we could have got warmed up a little! At one period of the day, I think it was late in the afternoon, the cavalry came up behind us, at a gallop. They got up almost to our trench, but the Boche gave them (and us) such a hot time of it that the poor fellows had to turn and gallop back. This was the only time I saw cavalry in battle. On our part of the line, it was a failure, because of lack of surprise, M.G. fire, and the nature of the ground. On our right they did better, but had severe losses, and their leader, General Buckly Johnson was killed, but I don't think they had been sent up early enough. The slaughter of men and horses, right from the Scarpe Canal to Guémappe (on the South) was appalling. On the morning of the 11th. I watched, from the high ground where we were, an attack along the Scarpe on Roeux and Greenland Hill by the 3rd. Division. This was the finest sight of the whole war from the spectacular point of view, except for a fortnight later. Roeux first went up in a cloud of smoke, apparently, and then from the ground in front our fellows sprang up everywhere, and moved towards their objectives. I got many lessons from watching that attack, particularly in judging the 'lie' of Boche barrage, and his methods of fire. The cavalry were supporting the attack behind Fampoux, but so many 8 inch shells were thrown at them that they could do nothing. The attack was a "limited success" in the view of the spectators. Probably "a brilliant success" in the home newspapers. Don't know what it cost the 3rd. Division but I'm glad I wasn't there. It snowed heavily till midnight when a thaw set in. This rapidly connected the pools in the trenches until we had a sort of canal running the whole length of the place. We expected relief before midnight, and were fortunately relieved at 4 a.m. Very cold wind, but it helped to blow us home, i.e. back to Arras. Mud feet deep on the roads. I got to Arras about 7 a.m. on the 12th. having had charge of the stragglers. Devil of a job to cover the last mile as we were all loaded with Lewis Gun ammunition. We were accommodated in trenches round Blangy - they were, probably, better than those we had vacated at Monchy! Got some hard-boiled eggs from Harragin, who was very kind. Company shifted to the sewers where even temperatures were guaranteed - a temp. about freezing point! Got my men shifted to cellars, found a billet, had something to eat, washed my knees, crawled into my valise about 11 p.m. and slept without turning until 8 a.m. on the 13th. when I woke up. Rose at 1 p.m. when I was strafed by the C.O. for being late - one of the humours of the army is the thing one gets strafed for, and one of the tragedies is the things one doesn't get strafed for. Took indents. Farquharson, Heyworth, Beattie to dinner. So ended Part One of the Arras show of April, 1917. I forgot to mention that on the 11th. I saw one Hun plane bring down five of our slow, heavy, artillery observation planes, one after another. Our fellows were very game to stick to their work as they did, practically without protection, absolutely at the mercy of any fast Hun machine. The papers had a lot to say about the show, and a tremendous amount of praise was awarded to the Canadians for taking Vimy Ridge. It seemed to me that they got too much praise, and that some more should have gone, not only to the other people who helped to take the Ridge, but also to ourselves and to the 9th. Division. The key to the Ridge was Monchy which dominated the whole of the Scarpe Valley. This had to be taken and held before any attack on the Ridge could hope for success. The entrance to this valley was, for us, blocked by the Railway Triangle and Embankment, defensive works of the highest importance. The 9th. Scottish and 15th. Divisions of course had to take this embankment which was from 40 to 60 or 70 feet high in places, a most tremendous obstacle. Then as soon as we got into the valley stuff of all kinds was thrown at us from the high ground above. It is only when we see the enormous difficulties to be overcome that we begin to understand why three Scottish Divisions should be taken from widely different parts of the battlefield and be brought to the Scarpe where they went over, all together. It is further worth mentioning that though, like the Guards Division, we were 'storm-troopers' we had (1) to hold the line in trench warfare and (2) to 'foot-slog' in all our big moves, instead of riding in motor buses as the Guards did. Note from RLM, 1972: About this date I attended the funeral of Alan Whyte; his body, wrapped in a blanket, along with many others, was buried in a deep long trench in a side street of the one-time village of Blangy. A most moving occasion. I wept. 'Alleyman' was British slang for a German soldier.